I was racking my brain trying to think of the best possible example of goal setting and how this can be one of (if not THE most) effective tool to achieving your goals. All raced in that order and without a break…. crazy, I know! Winding back to September 2013, Andy had never ran long distances, he had only just bought his road bike and he had never swam properly. I can honestly say the most swimming he had done was on holiday in a small round pool, he would breaststroke a few laps and be done! Andy is very easily persuaded and he is always up for a challenge! My step dad had previously completed one and wanted to improve his time, so he mentioned to Andy about doing it with him. My husband didn’t take long to sign up to the challenge (I can imagine it would take me a lot longer to think about this!!). Andy had 11 months to complete the training for this big event. This is where his strong personality and determination came into action! He sat down with my step dad and SET GOALS. 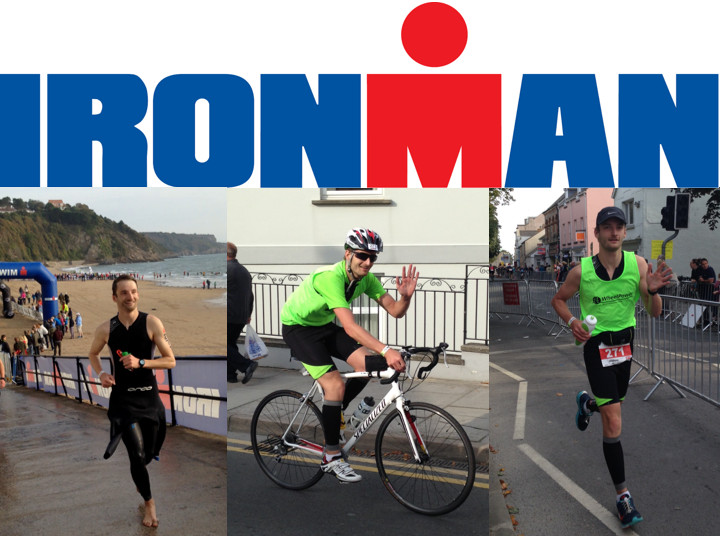 Through careful planning, setting lots of little goals and a lot of hard work… Andy completed the Ironman. A challenge most people would think was too big to do in 11 months. He actually finished in a very good time and smiled the whole way around, I felt so proud watching him….I think I was more tired than him at the end! Don’t let a huge goal scare you, embrace it and let it drive you! Feel like you need help with this? Book in for your goal setting session today and I’ll help you see things in a more positive way. Want to receive more information like this?